I love ice cream. Cones, sundaes, soft serve, Fribbles—I can’t get enough. 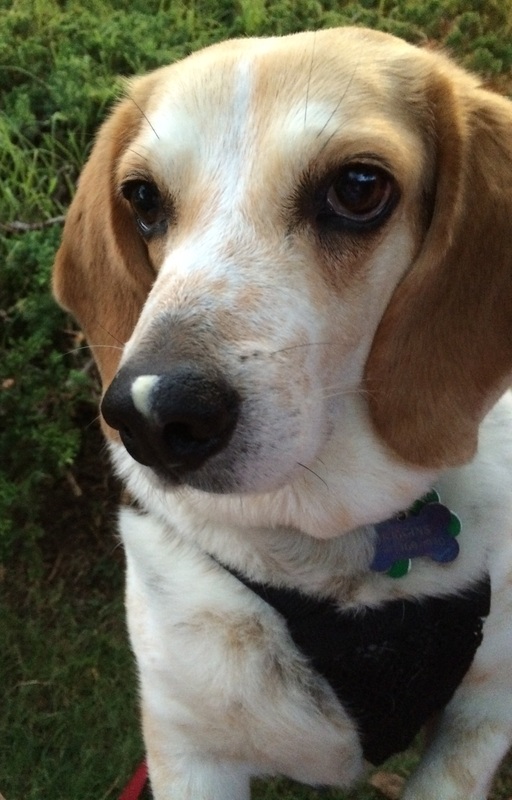 In the summers, it’s not out of the question for me to go night after night to my favorite local dairy, and I tell myself it’s because I have this face looking at me, begging for a special treat—and really, it would be cruel to turn him down, wouldn’t it? With all that considered, I was obviously excited to dive into Susan Jane Gilman’s The Ice Cream Queen of Orchard Street based on the title alone. Okay, okay, and the fact that it’s historical fiction, and that it spans decades in the life of its anti-heroine-y heroine, which is pretty much my favorite kind of heroine ever. I had high hopes, and I’m glad to say that every finger-licking drip of this literary dish was absolutely delicious. The Ice Cream Queen of Orchard Street introduces us to Malka Treynovsky, a Russian immigrant who comes to the US in 1913 at six years old(ish) with dreams of a world as glamorous as the one in moving pictures. What she finds instead is hunger, more poverty, and her family torn apart. After an accident leaves her abandoned and disabled, she is taken in by an Italian ices peddler and his family, charting her life on a path of shrewd business, new-style ice cream and love. Eventually, Malka transforms herself into Lillian Dunkle—“The Ice Cream Queen”—creating a beloved American empire with her husband, Bert. What the public doesn’t realize is that smart yet cutting Lillian is anything but the sugary sweetheart she plays at, and when her mistakes, burned bridges and past start catching up with her, everything she has worked her whole life for is put at risk. The novel spans decades filled with history, famous figures and mouth-watering frozen treats. I savored every last drop. Lillian is a character I never wanted to stop reading about. Like Scarlett O’Hara (my favorite fictional character of all time), Lillian’s actions are sometimes…unconventional. She might not be the kind of person you’d want to hang out and grab a Dilly bar with, but you understand why she makes every single one of her choices, and that’s what makes her so fascinating. I love that I never knew what she was going to do or say next, and I love that behind her sharp, “Oh, no she didn’t!” behavior, she’s covering up a big old heart. Like Scarlett, Lillian is the kind of girl who will do anything to protect herself and the handful of people she loves. How can you not root for a character like that? 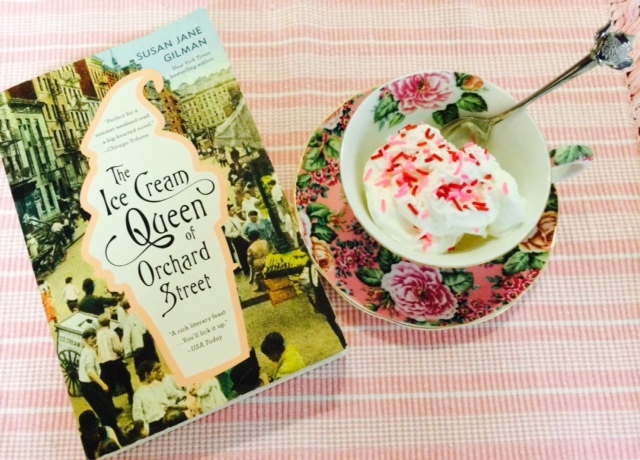 If you’re looking for a delectable book to curl up with, The Ice Cream Queen of Orchard Street is one you can’t miss. You’ll be as wrapped up in Lillian’s story as much as I was, and you’ll probably be running to the nearest ice cream shop as fast as I did. Just be warned: It probably won’t be as delicious as Dunkle’s. What can I say? Lillian won me over. For more on Susan Jane Gilman, visit susanjanegilman.com and follow her on Facebook and Twitter! Want more Book Perfume-y fun? Let’s keep the conversation going! Follow Book Perfume on Facebook and Twitter and let’s gab about fiction, dogs, ice cream…whatever our little hearts desire! Stephanie Burns, you’ve made my heart sing on a hot and uninspiring morning. Thank you for your ebullient words. Every author should be as lucky as me to receive such a splendid review. I am so touched and pleased. And to all your readers, please feel free to “friend” me on FB or follow me on twitter. Tell me your favorite character in the novel and/or your favorite ice cream flavor. Writing this book has made me only more obsessed. Have a beautiful summer, everyone. Thank you so much for your kind words, Susan!!! I’m so glad I could make your day, but I’m simply speaking the truth. Thank you for sharing your wonderful book with the world and providing so much enjoyment to all who read it!!! Thank you, Melissa! Me too!!! Gotta get some cookie dough stat!! I really enjoyed this one also. You described Lillian perfectly when you said that you could understand why she did things without necessarily agreeing with what she did. She was an amazing character. Thank you so much!! And I agree–Lillian is a fantastic character. I miss her!